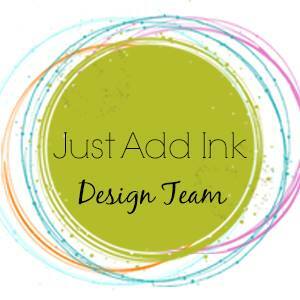 My Sandbox: Just Add Ink #364...Inspiration! 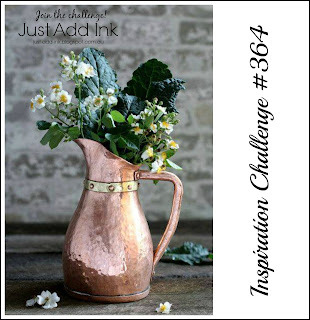 Hey there!...We have a new challenge happening over at Just Add Ink Kelly has given us this lovely rustic copper inspiration to play with. 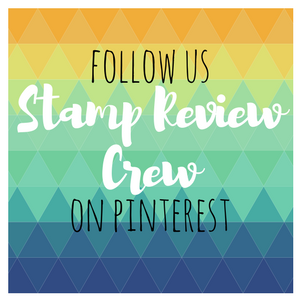 I have been totally loving all things copper for a couple of years now, so this inspiration was a delight to create with. 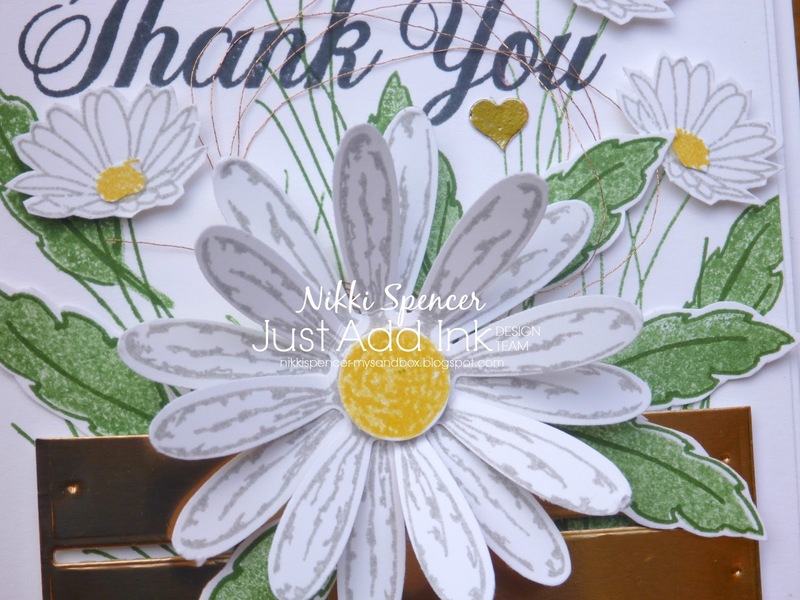 I have used the lovely Daisy Delight bundle and combined it with a partial die cut of the wood crate in the gorgeous Copper foil cardstock and also added some of the metallic Copper thread...Both of these delish copper products are some of my must have staples of late. 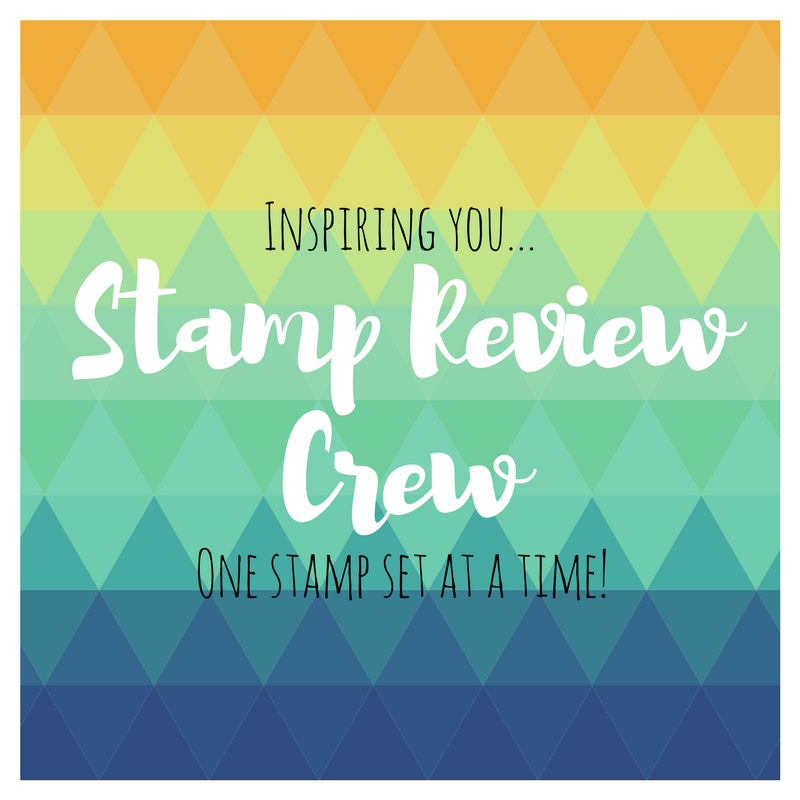 Don't forget to pop over to the challenge blog to see all of the lovely samples from the design team. Gorgeous card. 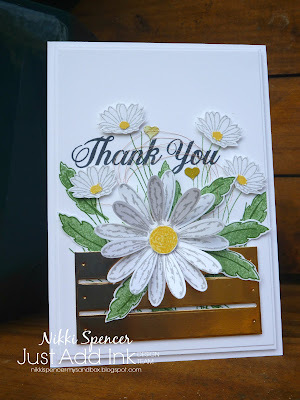 Love the daisies and pretty copper basket. 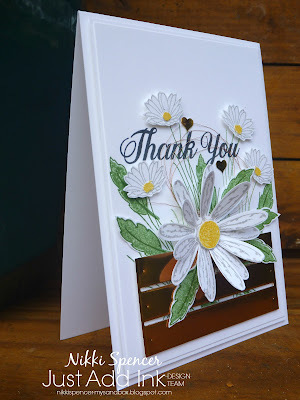 Such a beautiful card. Love the copper die cut crate & hearts. The design of your card is so soft and pretty. Gorgeous, Nikki! I love that all of the daisies have yellow centres, and the copper crate is fab. Your copper crate is such a great way to use the inspiration photo. 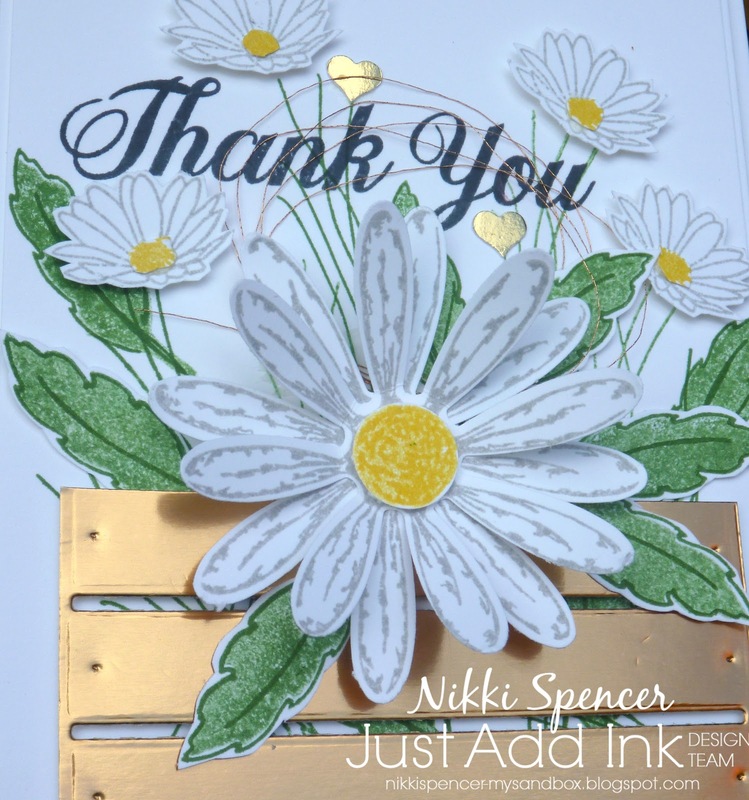 Gorgeous card, Nikki!